60's inspired crocheted bag with bottom tassel. Double top ring handles Open top Acrylic/polyester Imported SIZE 6W x 17H x 2.5D. Handbags - Contemporary Handbags. Cult Gaia. Color: Terracotta. 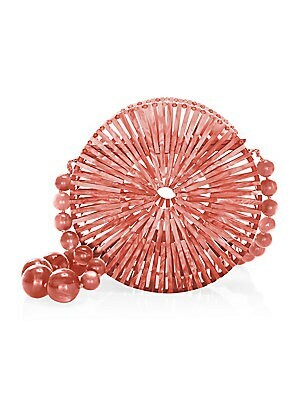 Acrylic circle bag with removable stone beaded strap. Magnetic flap closure Acrylic Imported SIZE Removable stone beaded strap, 24 drop 8W x 8H x 3D. Handbags - Contemporary Handbags. Cult Gaia. Color: Black. 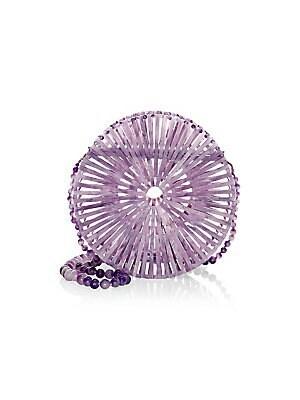 Acrylic circle bag with removable stone beaded strap. Magnetic flap closure Acrylic Imported SIZE Removable stone beaded strap, 24 drop 8W x 8H x 3D. Handbags - Contemporary Handbags. Cult Gaia. Color: Lavender. Acrylic circle bag with removable stone beaded strap. Magnetic flap closure Acrylic Imported SIZE Removable stone beaded strap, 24 drop 8W x 8H x 3D. Handbags - Contemporary Handbags. Cult Gaia. Color: Sage. Acrylic pinwheel clutch with a structured cage design. Top magnetic clasp Acrylic Imported SIZE 8" L X 8" H X 3" D. Handbags - Contemporary Handbags. Cult Gaia. Color: Cherry. Acrylic pinwheel clutch with a structured cage design. Top magnetic clasp Acrylic Imported SIZE 8" L X 8" H X 3" D. Handbags - Contemporary Handbags. Cult Gaia. Color: Malachite. 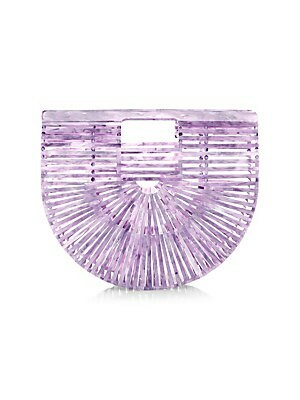 Artisanal acrylic design makes this bag a structural semicircle piece. Top clasp closure Includes dust bag Acrylic Imported SIZE Double top handles, 1.75" drop 9"W x 8.75"H x 2.5"D. Handbags - Contemporary Handbags. Cult Gaia. Color: Lavender. 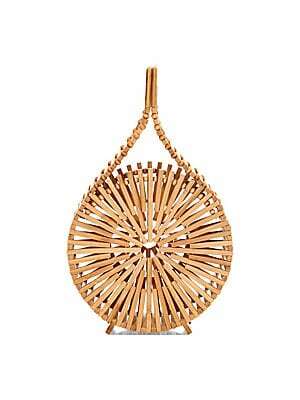 Artisanal bamboo constructs eclectically round top handle bag for a boho aesthetic. 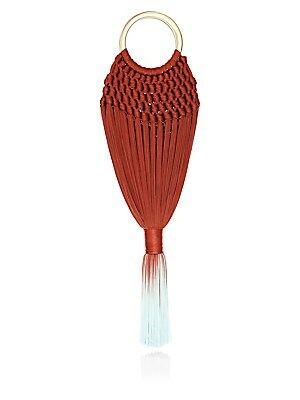 Top handle Top magnetic closure Bamboo Spot clean Imported SIZE Top handle, 2.25" drop 6.25"W x 10.25"H x 3"D. Handbags - Contemporary Handbags. Cult Gaia. Color: Natural.